The Sunshine Coast is known for many things: a beautiful climate, stunning beaches, great surf, its spectacular Hinterland. If you're heading there as a family, there's Australia Zoo, the Big Pineapple and the odd theme park to keep you entertained. Heck, thanks to the Russell Crowe's jockstrap and the plight of Blockbuster stores in Alaska, there's even a koala chlamydia treatment ward named after the British host of a popular American TV show. Yet, for all that diversity, it's not a part of the world you would readily associate with beer – at least, not craft beer. However, perhaps you should. While its southern relation, the Gold Coast, has been garnering plenty of attention in beer circles for a few years now, as the region's pioneers Burleigh Brewing have been joined by the likes of Black Hops, Balter and more besides, the Sunshine Coast has been undergoing a quieter, but no less dramatic transformation. 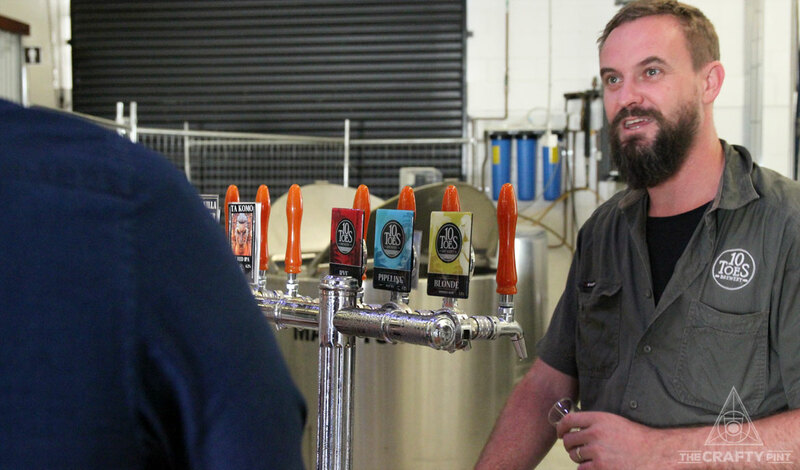 As Josh Donohoe, who runs craft beer tours of the region, points out, when he moved to the Coast from Sydney in 2015 there was a single Sunshine Coast brewery: Sunshine Coast Brewery. Today, you'll find a few in Noosa, more dotted along the coast and others found on the winding roads of the Hinterland. So, with more set to open, we figured it was about time we gave the region a Beer Travel guide of its own. Look out for one focusing on the venues that call the region home later in the year. For now, here's the breweries, starting in the upper end of the region. 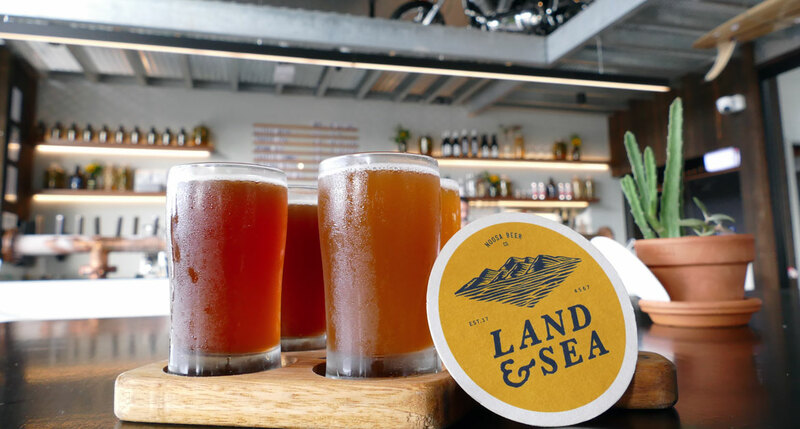 The latest and largest brewery to open on the Sunshine Coast at time of publication is the Noosa Beer Company’s Land and Sea Brewery. Located on a corner block in an industrial area of Noosaville, Land & Sea opened its enormous bi-fold doors to the public in January 2018. Via a combination of an impressive 18 hectolitre brewhouse and smaller pilot systems, they currently produce a range of ten beers on tap, which sit alongside two guest taps. The brewery, bar and restaurant have quickly become a hit with locals for obvious reasons. The venue itself is stunning and a credit to part owner and former product designer Tim Crabtree and his team. A seamless transition from outside to inside sees you enter a bar area where vintage motorbikes adorn the mezzanine level above. Light floods in from all sides, filling the huge space with a welcoming warmth while, past the bar area, the call of the shiny tanks is strong and, like a moth to a flame, you are drawn to have a closer look. Thankfully, there's a funky barrier of stacked kegs and timber to stop stray onlookers getting too close to the action. If you are looking for a brewery that produces extravagant beers that push the boundary, you’ve come to the wrong place. Instead, the beers at Land & Sea are unashamedly designed to reflect the laid-back Noosa lifestyle. Most are under 5 percent ABV and don’t stray too far from style guidelines with their most popular beer the lager like Coastie Common. Open all week from 7am to 11pm at 19 Venture Drive, Noosaville. Copperhead is the brainchild of Jason and Sharon Cox, who launched their brewery/restaurant in August 2017. 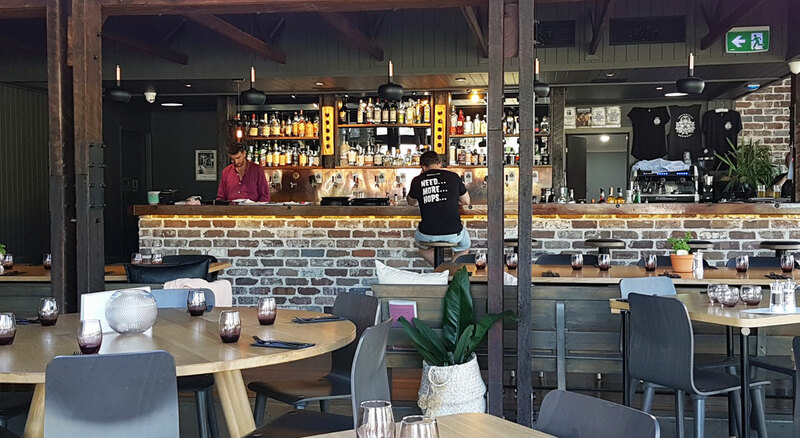 Situated in the quiet Hinterland town of Cooroy, often seen as a gateway to Noosa, Copperhead has provided a destination for locals to call their own. Visitors to the region are quickly discovering why it has become so popular so quickly too. The layout is classically industrial: exposed brickwork and timber, polished concrete floor and copper pipes, with the owners able to open the front of the venue to allow in light and cooling breezes. Armed with a 200 litre Braumeister, Jason produces a surprisingly diverse range of ten beers, seven of them regulars and three rotating seasonally. Drinking on an empty stomach is never a good idea and the focus on food as well as beer sees the Copperhead kitchen delivers some of the best food of all the breweries on the coast. Even if you're only stopping in to sample a tasting paddle, be like Molly and do yourself a favour by ordering one of their small plates or check out the larger Copperhead plate, a charcuterie board of cured meats, terrines and an exquisite stout and onion jam. Open all week from 11am to late at 52 Kauri Street, Cooroy. 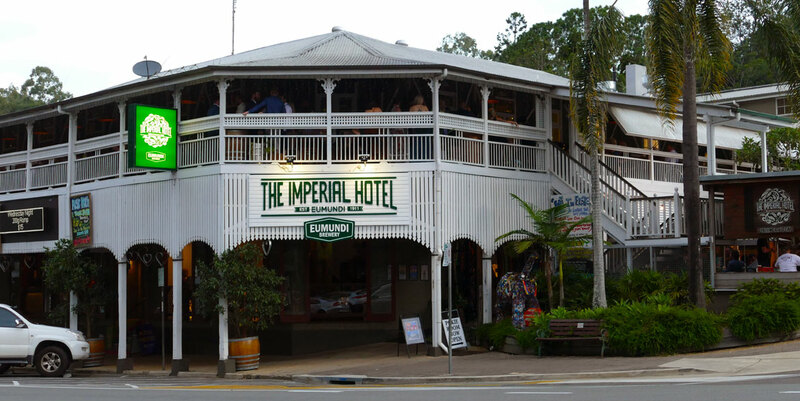 Iconic, majestic, historic... just some of the words used commonly to describe the more than 100-year-old Queenslander style Eumundi Hotel. And, as of August 2017, you can add brewery back to the list. Eumundi Lager was first brewed in 1988 and grew to become synonymous with the town itself but, after an extended closure, a new brewery was installed by Lion, with the work overseen by industry icon Chuck Hahn. They resurrected Eumundi Lager, adjusting the recipe to be in keeping with the times so that the latest incarnation comes with a tropical, hop forward taste. The brewery produces a small range of other beers, including a pale ale and a ginger pale ale, and helps put The Imperial Hotel back on the map for craft beer enthusiasts. It's a great place to watch live bands in the beer garden alongside and, for a more intimate view of the brewery itself, you can take a 60 minute tour on Wednesdays and Saturdays; combined with a trip to the world famous Eumundi Markets across the road, it makes for a perfect day out. Open seven days, 10am to late on the corner of Memorial Drive and Etheridge Street, Eumundi. Situated in the suburb of Kuluin, a few kilometres from the hustle and bustle of the Maroochydore shopping precinct, the Sunshine Brewery is a beacon for locals and weary tourists alike – and not just due to the the towering sign out the front as you approach, displaying the brewery's logo: the curling lip of a breaking wave. Stepping inside the industrial building, the décor is rustic and eclectic. Many of the items were donations from customers after doors opened in early 2017 but the dominant item taking pride of place above the large wooden bar is an heirloom wooden kit surfboard belonging to owner, brewer and keen surfer Craig Dunsdon. Partner Daryle Cook welcomes customers into the brewery like family members and is knowledgeable about all aspects of the brewing process as well as the eight to ten beers you'll find pouring. The diversity of craft beers on offer rivals any of their peers on the coast and is not limited to sessionable lagers and mid-strength ales but branches out to include the likes of a double IPA, an orange peel infused saison and a choc raspberry porter. The venue is also gaining popularity for its regular food and beer pairing events and, with the quality of beers and hospitality of offer, it's easy to see why. Open from 10am to 7pm, Wednesday to Sunday, at 28 Fishermans Road, Kuluin. 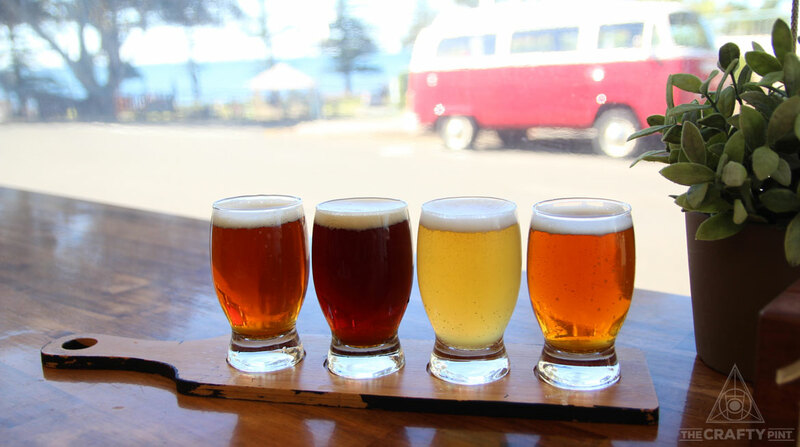 Just a hop and a skip from the waterfront at Alexandra Headland and you'll find 10 Toes, one of the more established Sunshine Coast breweries, even though it only served its first beer to a customer in February 2016. It's the baby of Rupert Hall, who decided he'd had enough of his career as a project engineer in the world of pharmaceuticals and heavy engineering and fancied putting the decade he'd spent all grain brewing at home to use instead. His decision to seek a more laid-back lifestyle* in keeping with the area 10 Toes calls home is reflected in the look of the brewery's home: surfboards and pictures of surfing adorn the walls of the bright and airy warehouse. Behind the bar is his workplace: an oft-expanded 12 hectolitre brewhouse and a growing farm of fermenters. He fills them with a core range of well made and approachable beers, many of which you'll find in the bars and restaurants of the Sunshine Coast: Pipeline Pale, Rye Amber Ale, Dark Ale and so on. But there's enough tap space for him to play around too, so expect to find something new pouring pretty much any time you drop in. 10 Toes is at 4/127A Sugar Road, Alexandra Headland. *Who are we kidding, making and selling beer for a living is far from laid-back, but we're pretty sure it beats the corporate life. 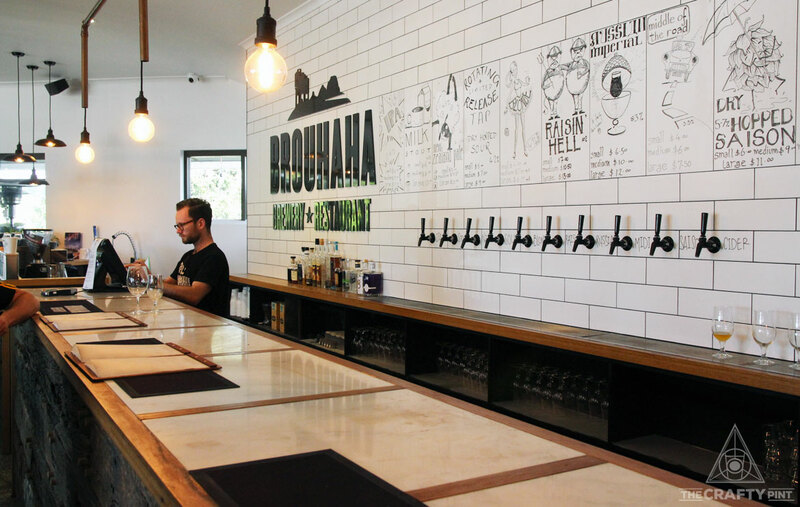 Few breweries in Australia can have hit the ground running as fast as Brouhaha, the Maleny brewpub that first opened its doors in June 2016. We're well positioned to make such a call as we first walked through said doors eleven days later. Already, the taps were filled with an array of beers – in part down to the policy of splitting batches of some beers and taking them in different directions: a saison dry-hopped and with raspberry; an American IPA as nature intended and a version lavished with fruit. The standard across the board was quite remarkable for one so young, although a chat with the co-owner and head brewer soon gave you an understanding as to why. Matt Jancauskas had, let's be honest, bullshitted his way into a job at London brewery Beavertown and, once in the door, wasn't going to let the opportunity pass. In his time there, he rose to production manager, helped oversee various stages of the brewery's expansion and thus returned home with a wealth of knowledge. He was recruited by guys who already had the site, the name and the intent and helped bring Brouhaha to life in the unlikely spot of a mini-mall in Maleny surrounded by medical centres. The diversity of beers has only expanded, demand from Brisbane and beyond has seen what they can spare from the brewpub head into bars and bottleshops, and they've undertaken various collaborations with other brewers as well as venues, all while welcoming hordes of guests to their brewery home week in, week out. What a Brouhaha, indeed. Join Matt and co at 6/39 Coral Street, Maleny. 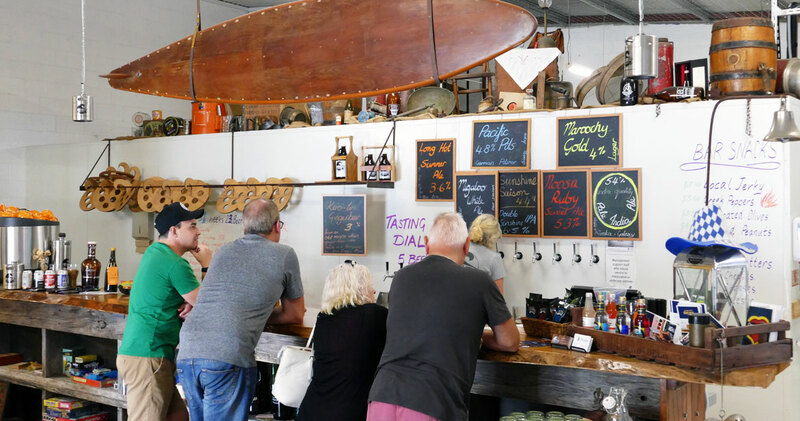 Wend your way back from the hills to the coast and you'll find the most southerly entry in this guide: Moffat Beach Brewing Co. The small brewery was installed at the rear of owners Matt and Sharynne Wilson's café in 2015 as a means for the former to bring his passion from home to work. And it's a move into which Matt and his beers have grown. On an early visit, there was plenty to enjoy: the views of the ocean just a few hundred metres away, the sunny vibe of the colourful café and its staff. Not all of the in-house brews were up to the same standard, however. But, after receiving feedback from the judges at the Australian International Beer Awards in 2016, where his beers didn't pick up any medals, the former soldier went to work. Twelve months later, he picked up a gold and two silvers. Time your visit right and you can sample the medal-winners and whatever else happens to be pouring while live music is played in front of the tanks. 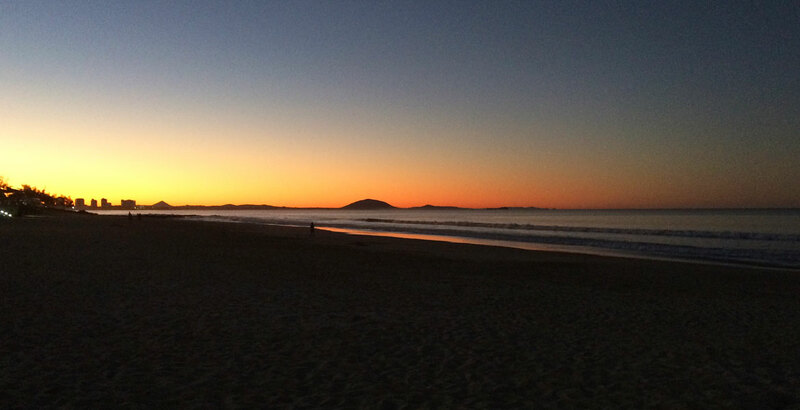 Open seven days a week at 12 Seaview Terrace, Moffat Beach. Read our interview with Matt here. Sunshine Coast Brewery – 13 Endeavour Drive, Kunda Park – By far the longest established brewery on the coast – in operation since 1998 – Sunshine Coast has also been a breeding ground for some well known brewers, among them Ian Watson (formally Murray's and now Ballistic), Craig Wealands (Thirsty Crow) and Scotty Hargrave (Balter). On recent visits, there's been variance in the quality of the beers so be prepared to try before you buy. Bonsai – 28 King Street, Cooran – This tiny nanobrewery setup is found in an historic and rustic sawmill in Cooran. Owner and brewer Matt Vanderveen produces small batch, diverse, carefully created and often perfectly formed beers. You can only try them on Friday and Saturday, but it's worth the effort with Noosa food truck Asian Street Food on hand too. Noosa Brewing Co – Set to open mid-2018 in an industrial area of Noosaville, roughly one kilometre from the Noosa Beer and Noosa Brewing Company’s Land & Sea Brewery. Once opened, the 1500 square metre site will house the largest brewery set up on the coast if current designs are to go by. Your Mates Brewing – 4/30 Allen Street, Moffat Beach – You used to find the Your Mates team at The Basement in Nambour, but now they've got an epic brewery venue in Moffat Beach. You can also look out for beers from gypsy operation Stalwart and, should you be after someone to take care of the driving and provide an insight into beer (and more) in the region, you can hit up Josh at Sunshine Coast Brewery Tours. He runs a variety of tours and is happy to tailor something to your requirements too. About the author: Adam Gregory is a craft beer enthusiast, bad pun tragic and self confessed beer festival junkie. Follow his journeys with partner Anna via their Instagram account, A Couple Of Beers.